Cyber Monday 2017 was the largest online shopping day in US history, with mobile sales hitting the $2 billion mark — this season will bring another spike in mobile commerce. With a predicted 32% jump in Mcommerce from last year comes a major opportunity for app businesses to grow both their user base and their revenue. Given the trend toward increased app usage and a plethora of deal-seeking individuals, Black Friday and Cyber Monday offer a focused time period to drive new growth through user acquisition and engagement. With the right strategies in place, app marketers can capitalize on opportunities to boost app installs, convert non-paying users into buyers, and drive more revenue from existing paying users. While these two shopping holidays are prime windows to reach engaged audiences, they can come with a hefty price tag. To make sure you’re getting the most out of your paid advertising campaigns — and accounting for the spike in cost-per-install (CPI) rates — give yourself a month or so to test your ad creative. That way, you’ll have a better sense of your target users’ behaviors and preferences before it’s time to ramp up your campaigns on the holiday weekend. The insights you gather ahead of time can also inform re-engagement campaigns you may want to run on the holidays. In addition to experimenting at a lower customer acquisition cost, starting campaigns early gives you a head start on helping people get familiar with your app. While your discounts or promotions may only apply on the specific day, it’s helpful to get on people’s radar ahead of time. Try running your retargeting ads for at least the week prior to the date to make sure your app is top of mind when the shopping frenzy begins. When it comes to capturing your audience’s attention, and more importantly, interest, the more relevant your message, the better. Since Black Friday and Cyber Monday are two separate “holidays” — and may draw different audiences — your ad creative should be specific for each. Meaning, have one set of creative for Black Friday and a separate set of ads for Cyber Monday. According to AppsFlyer, in the US, in-app revenue on Black Friday was more than 20% higher than earnings on Cyber Monday 2017. This trend was mirrored in the UK, where Black Friday revenue was nearly 50% higher. App usage soars over these dates, meaning there’s a good change people will come across your ads multiple times. Make sure you have plenty of new ad creative to rotate in — likely double the amount you think you need. Doing a creative refresh will help keep users more engaged. It also provides additional testing opportunities (and more data) to inform future campaigns. When the stakes are higher, it’s that much more important to take action when it matters. Whether you’re doubling down on an ad that’s working particularly well or pausing a campaign that isn’t delivering, you should be ready to make changes on a moment’s notice. Plan to have backup creative ready to go so you can easily swap it in if a particular set isn’t performing well. The product images featured within your app descriptions in Google Play and the iOS App Store offer an opportunity to increase your click-to-install conversion rate. By (temporarily) updating your creative to emphasize deals, coupons, or promotions you may give consumers the extra push they needed to download your app. Make sure the callout text within your images clearly addresses the app features or deals specific to Black Friday and/or Cyber Monday. This will ensure visitors know what your app has to offer. It’s also a great way to instill a sense of urgency with a limited time deal or exclusive feature that is only accessible during this promotion. If you take this approach, make sure to remove any holiday-specific ad creative as soon as the holiday is over. Ads that are no longer relevant to your audience can have a negative impact on your conversion rate. Advertising during these shopping holidays tends to come with a higher eCPM. It’s important to measure whether that increase in cost is matched by a high customer lifetime value (LTV). Higher than usual customer acquisition costs (CAC) shouldn’t be cause for concern if your holiday season advertising brings in high-value users that continue to generate revenue. However, if you don’t see an increase in in-app-purchase conversion rate or higher LTV from customers acquired the week of Black Friday and Cyber Monday, you may want to think twice before paying a premium for advertising during that period next year. Since LTV accrues over a customer’s lifetime — the entire range of time he or she uses your app — you may not have insight into this metric right away. That said, you should keep an eye on retention during the first couple of days. Did users drop off immediately after installing you app (and therefore fail to deliver any value)? Do they use the app more or less frequently? Do they make more IAPs? Or more often? If you discounted their subscription during the holiday promotion, did behavior change (e.g. did they churn) when price increased? With consumers spending more time within apps during Black Friday and Cyber Monday, these days are a prime time to generate new revenue from your existing user base. For example, you could try giving tiered discounts to paying users vs. non-paying users or incentivize users who are willing to plan in advance with discounts on subscriptions. 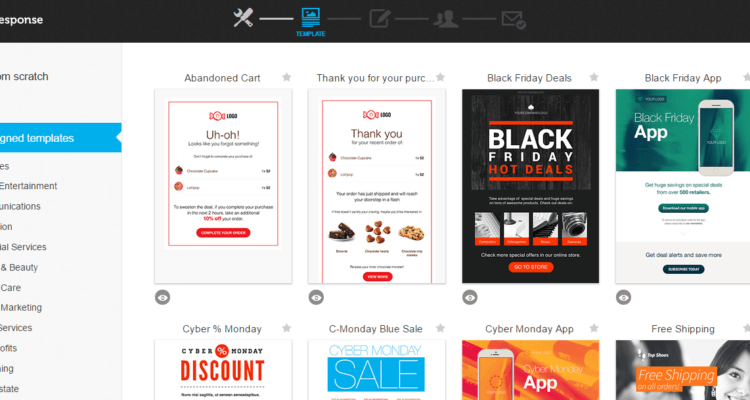 Push notifications, email campaigns, and retargeting campaigns all offer ways to let users know about special holiday pricing, new features for purchase, or exclusive deals. Higher eCMP and CPI mean campaigns during Black Friday and Cyber Monday will require more budget. You’ll need access to capital for user acquisition several weeks ahead of time if you plan to experiment or get a head start on retargeting. If you plan to reinvest your app revenue in marketing, make sure your app earnings aren’t trapped in the 45+ day app store and ad network pay cycles. Braavo Accelerate gives you early access to app revenue from Google Play, iOS App Store, and advertising networks on a weekly basis so you can take action when it matters to capitalize on mobile growth opportunities. Seeing promising results with your paid user acquisition strategy and ready to scale your spend? Braavo Extend provides apps with existing profitable user acquisition campaigns with on-demand, upfront funding for additional marketing budget. 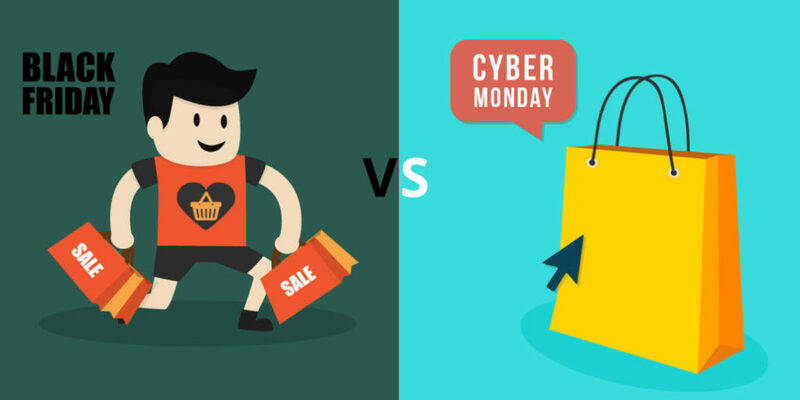 Black Friday and Cyber Monday are just the start of the holiday season. Stay tuned for our post on holiday app marketing to learn how you can optimize your user acquisition strategy and engagement marketing to boost app installs during the holidays, increase profit, and drive incremental growth.